The Tigers will next take on the Poly Panthers, an opponent considered to be a non-league rival to the team. Boys’ soccer triumphed in its second preseason game over Gabrielino High School by a score of 4-0 on Tuesday, November 27. The victory was hard fought, as the Tigers found themselves equally matched both offensively and defensively with the Eagles during both halves. As the first half of the match began, the South Pas team established an impeccable offensive presence. Sophomore Reo Snyder made quick work of the Eagles, claiming two early goals against the bewildered enemy defense. As the half progressed, however, players on both teams struggled to gain any ground. Senior captain Addison Foord and senior Sage Pierone led the Tigers’ steadfast defensive blockade against their attackers, but the team’s offensive endeavors were met with strong opposition from players on the Gabrielino team. In a particularly intense exchange to advance the ball midway through the half, junior Kai Endo found a weak point in the Eagle defenses and broke through to score their third goal. 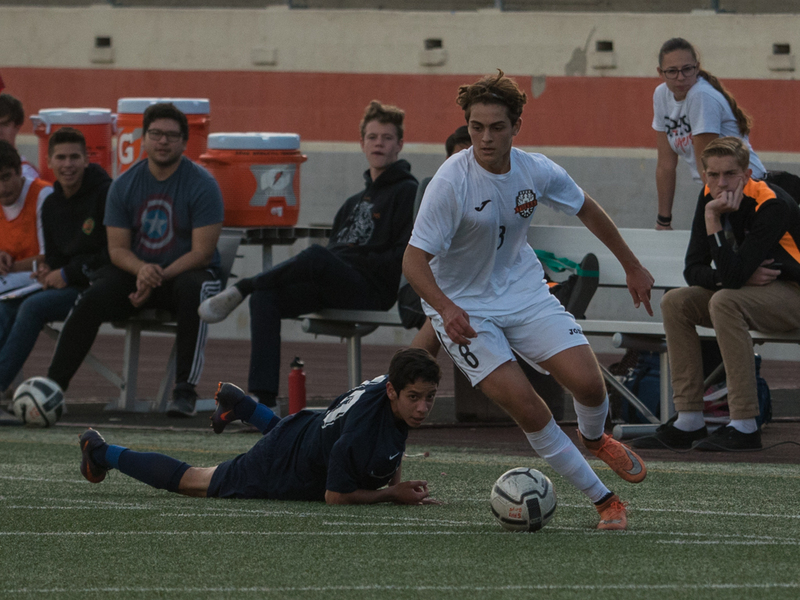 However, a quick response from Gabrielino dismantled the Tigers’ assault and turned the remaining portion of the half into a series of back and forth struggles from goal to goal. The team swiftly adapted to the Eagle offense at the start of the second half. Decisive plays from junior Ian McLane halted several crucial advancements for Gabrielino, and even tighter defensive formations cut off a considerable number of passes between the home players. With its improved defense, the team was able to better focus on aggressive maneuvers. Thanks in part to seniors Henry Barbera and Jack Sanders, the Tigers were able to sink their fangs deep into the Eagle backline and create more openings for its players to score. One of these openings resulted in an impressive 10-yard kick from senior Raymond Yeo that secured South Pas’ fourth and final point of the match. As the second half neared its end, so did Gabrielino’s hopes for a comeback. Consistent pressure both offensively and defensively was enough to secure the Tigers’ 4-0 victory over their opponents. Now 2-0 in the preseason, the boys’ team hopes to maintain its winning streak as it faces the Polytechnic Panthers away on Thursday, November 29. 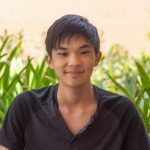 Though not one for conversation, junior Nicolas Liu hopes that his actions on Tiger as a first year staff writer will speak louder than any vocal words. Outside of school, Nicolas can be found playing video games, volunteering, or practicing archery.